Marco Polo Club Invitational are exclusive trips that span the globe to destinations both familiar and exotic, accompanied by A&K's most accomplished historians, naturalists and guides. Track chimpanzees in Kibale National Park, embark on game drives in search of Ugandan wildlife and interact with a family of endangered mountain gorillas in Bwindi Impenetrable Forest. A majestic mountain gorilla and her young. African elephants pausing for a drink in Murchison Falls National Park. Arrive in Entebbe and transfer to your hotel on the shores of Africa’s largest lake. 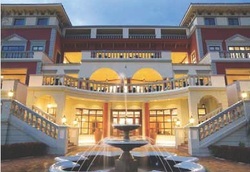 Lake Victoria Serena Resort & Spa, a Villa-style luxury by the lake. Depart Entebbe and fly to Murchison Falls, one of the most scenic spots along the Nile and the location of the classic Humphrey Bogart film The African Queen. After settling in to your wooden chalet or permanent tent on the banks of the Victoria Nile, join your guide for a visit to Murchison Falls, where invigorating spray pours down on a narrow ravine. Today, a game drive takes you along the northern banks of the Nile in the heart of Murchison Falls National Park. You may see giraffes, buffalo, elephants, warthogs, leopards, lions and antelopes. This afternoon, embark on a boat cruise up the Nile River to the base of the falls. 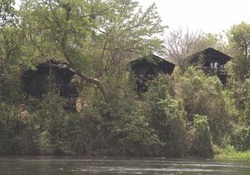 Watch for hippos, crocodiles, elephants, antelope and many bird species that inhabit the river’s papyrus-lined banks. afternoon, you may go on a guided primate walk in the Bigodi forest swamp. After breakfast, drive to Queen Elizabeth National Park, home to a variety of wildlife, including elephants, lions, hippos, buffaloes and baboons. Participate in game drives this afternoon and the next day. While exploring, look in the branches above; you may spot tree-climbing lions, a sight rarely to be seen anywhere else in Africa. 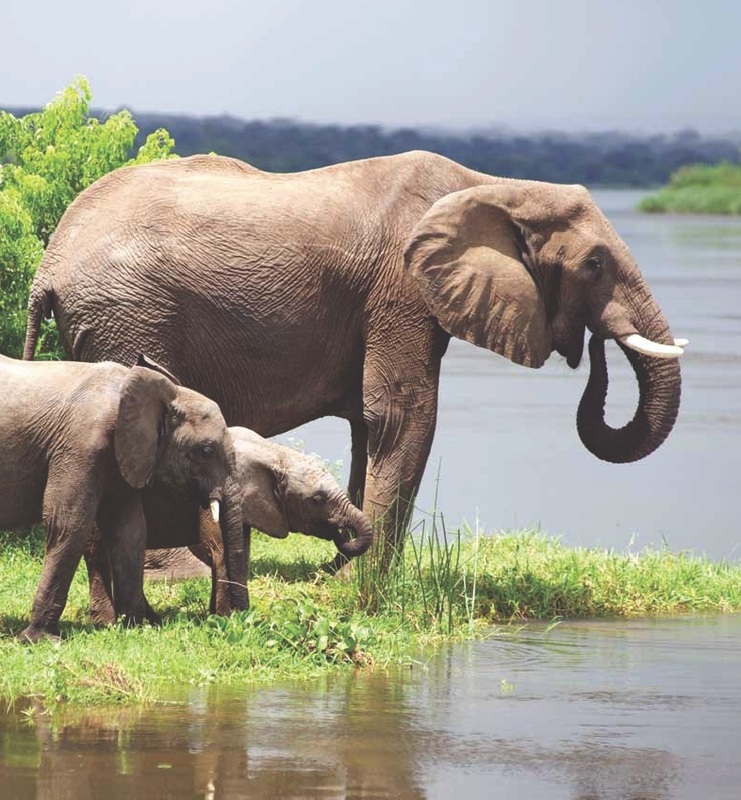 You may also see some of Uganda’s largest elephant herds. 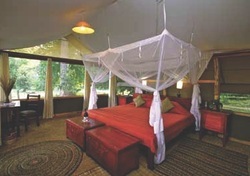 Remote, atmospheric camp, tucked amid jungle-like vegetation in Uganda’s Bwindi Impenetrable Forest. Enjoy a game drive as you make your way out of the Rift Valley through the Kigezi Highlands of southwestern Uganda. The scenery is increasingly more breathtaking as you switchback up and down the hills. 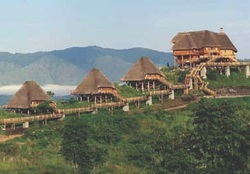 Your journey culminates in the mountains of Bwindi Impenetrable Forest National Park, a UNESCO World Heritage Site and one of the most biologically diverse areas in the world. family of these creatures that share 97.7% of our DNA go about their daily business. See mothers keeping infants close to their chests as they knuckle-walk on three limbs. Toddlers scamper around and often must be reined in by an attentive father, whose job is to protect his family. When you look into the eyes of a mountain gorilla, there is no mistaking the bond that exists between primate and man — and no escaping the poignant reminder that these creatures lie on the brink of extinction. Return to your lodge with time to relax or set out on another guided forest walk. Fly to Entebbe and return to Lake Victoria Serena Resort & Spa, where a dayroom awaits until your international flight home.